With the ever-growing popularity of "Eastern" cooking in the Western world, this book assembles together some of the best-loved dishes, featuring 50 recipes for soups, salads, snacks and starters, smoothies, main courses and sweets. If you want to expand your cooking skillsor learn some new dishes from your Muslim neighbours or you simply want to learn more about the international tastes of the Muslim world, then this is the ideal cookbook for you. 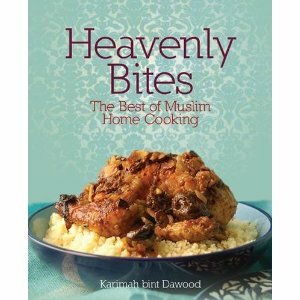 First Muslim cookbook, based on the best of Muslim cooking from Morocco to Bangladesh to be found in Muslim London. 50 recipes: soups, salads, snacks and starters, smoothies, main courses, marinades and sweets. Full of stories about food culture and cuisine in Muslim communities.